These CRYSTAL LIGHT Floats are super versatile and easy. Choose any flavor you like, and add a dollop of lemon sorbet. Place drink mix in large plastic or glass pitcher. Add water; stir until drink mix is dissolved. Refrigerate several hours or until chilled. 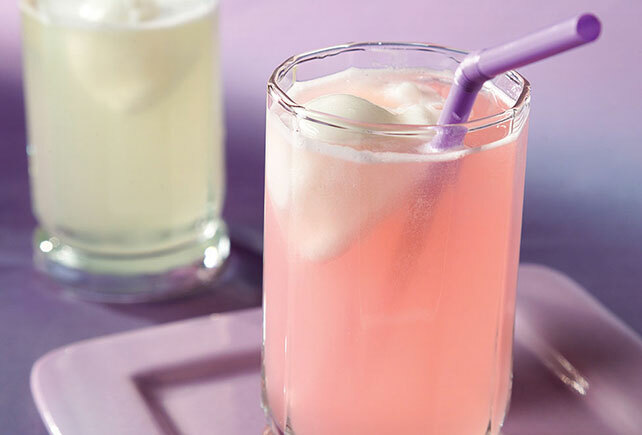 For each serving, place small scoop of sorbet in tall glass; fill with prepared drink mix. For a flavor adventure, substitute different flavors of sorbet or sherbet for lemon sorbet. Makes 10 servings, about 1 cup each.